Just add talent. This book gives today’s digital animators all the lessons they never had-classical animation techniques used by the most original animators of our time. Animation from Pencils to Pixels is the most comprehensive book on the principles, processes, and profession of animation ever written. Within the covers of this one book is just about everything required to conceive, produce, direct, animate, assemble, publish, and distribute an animated film. The tips and techniques in this book are timeless and applicable whether you want to make a 2D or 3D film, or a Web-based animation or a game. The book includes a comprehensive DVD containing a full version of the author’s film, “Endangered Species,” which showcases the great and classic moments of animation’s history. In addition there is an extensive analysis section on “Endangered Species,” explaining how the film was made on a scene-by-scene basis, using movie clips and other demo material to illustrate the text. Completing the DVD is a unique and informative section on ‘repetitive stress disorder’ for animators (mega-hurts), which will help make the entire process of animation a much more enjoyable and pain free experience for the long term professional. The appendix of the book includes a complete course structure, which educators and independent students may follow. Get your copy while they’re hot. …in the very early days of animation, almost everything was done by men. Men even did the inking and the painting. It wasnâ€™t until the early â€˜30s, at least in Hollywood, that women started doing these jobs. There was very much gender discrimination in the business at that time. Women were not allowed in the Animation Department, Layout, Story, and Camera departments. There were some women in the Background Department, but it really wasnâ€™t until World War II, when the men left for the service, that women were accepted into these other departments. 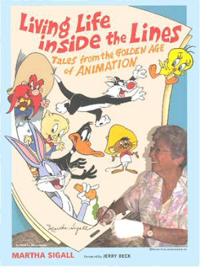 She recounts her wild and wonderful experiences with the Warner Bros. cartoon crew, working and laughing all day with the animators, partying all night with the Looney Tunes gang on the bowling and baseball teams, and participating in weekend scavenger hunts. 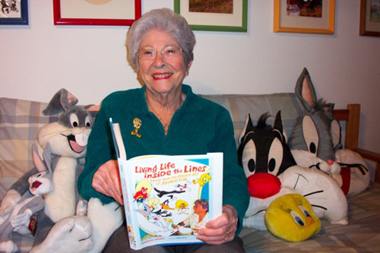 She was president of the in-house “Looney Tunes Club,” co-wrote the company gossip column, and performed in the company’s theatrical troupe. This is a wonderful book for anyone interested in animation history. The book is widely available. Get your copy now. 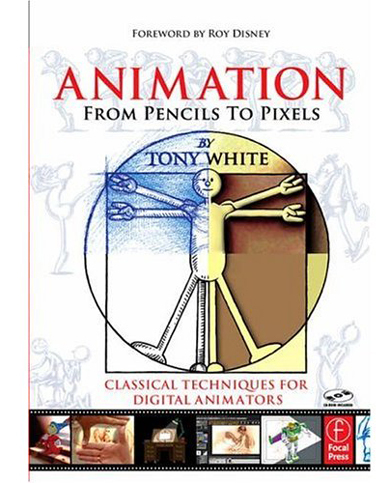 This is a must have book for your animation library. 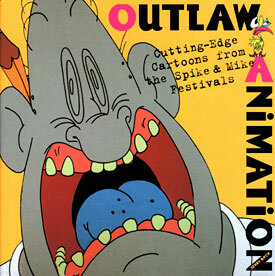 Outlaw Animation is a history of the first 25 years of the Spike and Mike Festival. The book is authored by Jerry Beck and Todd MacFarlane. The festival started as a barely noticed add-on to rock concerts to the premier showcase for new animators. Nick Park and Peter Lord of Aardman of Wallace and Gromit fame started here. Other notables include John Lasseter and Mike Judge. Besides being a wonderful compendium on the development of the modern indepedent cartoon, “Outlaw Animation” is a well told slice of history from 1977 to 2002. There are pictures galore including stills, behind the scenes shots and posters. Get your copy from our Animation Shop. Dimples is all about 2D animation but if you look at the prospects for finding a good job in 2D animation in the US of A, you might think the prospects are poor. Every high profile project seems to be from the rubbery cupie doll world of 3D animation. But, where do those 3D characters start? They start as a 2D sketch. Character design begins with a 2D image and this is a career niche for folks like us. Dimples thinks that studios and other folks are beginning to realize that there is still a place for the well trained artist with a pencil and paper. They are the first step. 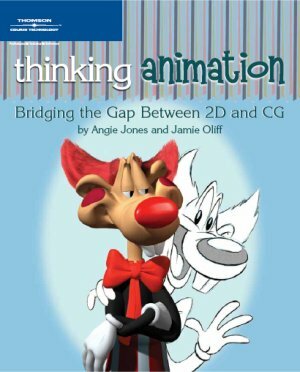 Angie Jones and Jaimie Oliff have written a book that shows that a detailed knowledge and skill-base in 2D animation is essential for success in 3D anmation. Their book, “Thinking Animation”, is an overview of all kinds of modern theatrical animation. Dimples loves it! You can order your copy here.